This course is designed to prepare students to progress to 3rd Level Institutions to study Nursing, Midwifery, Social Care or other subjects in the healthcare field. 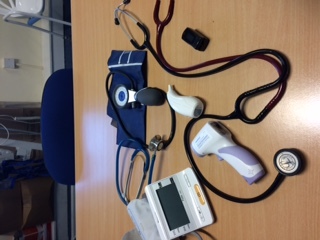 The course also prepares students who wish to work in healthcare in a variety of settings such as nursing homes, community settings and hospitals. There are practical and academic components in this course including skills demonstrations, assignments, exams and project work. External work experience is a vital part of this course. Learners are required to secure a minimum of 80 hours’ work experience. Normally at QQI Level 5: 8 distinctions is required and is viewed as the equivalent of 390 CAO points in the Leaving Certificate. Can also study BA (Hons) Applied Social Studies in Social Care in various locations e.g. Athlone IT. Entry to Nursing in the UK is through UCAS.